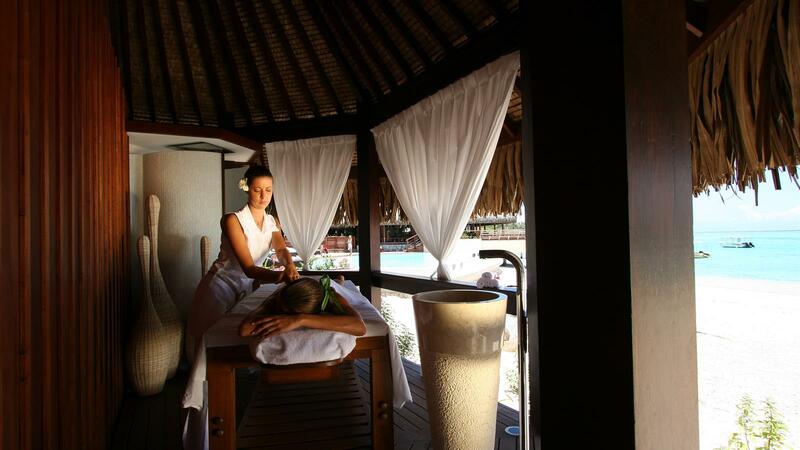 Awake your senses and feel re-energized with a selection of health and beauty treatments. Plunge into the cozy and special atmosphere of SoSPA at Sofitel Moorea Ia Ora Beach Resort and explore a new kind of spa experience with a wide range of surprising treatments following the forces of earth and inspiration of ancient Polynesian traditions. Enter a soothing space with 7 tranquil spa suites a calming Jacuzzi and a panoramic view stretching across the lagoon. A beautiful swimming pool invites for a refreshing swim.